The second day live in Singapore has proven that A9 is a true performer. 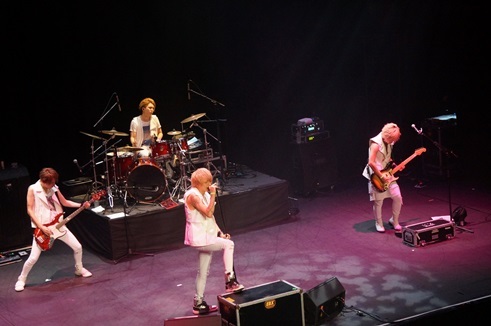 It has attracted hundreds of J-Rock fans in Singapore for two nights and it was wrapped perfectly. The second day live was started at 6.30pm like previous live. The hall was already full by the time PRAY filled the room and members of A9 appeared one by one on stage. 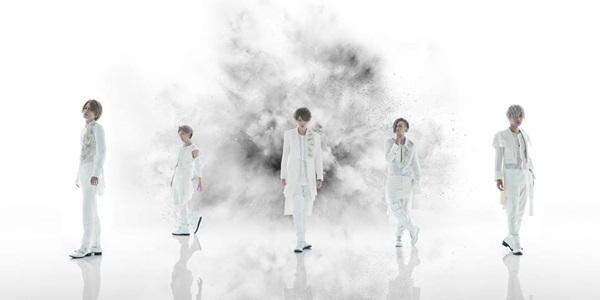 The visually eccentric white costumes revealed Shou, Saga, Tora, Nao and Hiroto on a dark stage with minimum lighting. 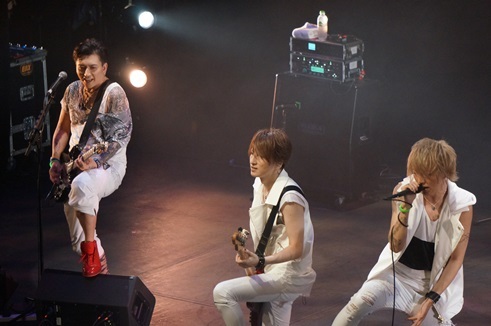 Shou stood with white hooded poncho, which he removed after he sang their first song. Phoenix, Heart of Gold, Doukeshi and Judan were just some numbers played in the beginning, with all guitarists and bassist trading solos and running around the stage. 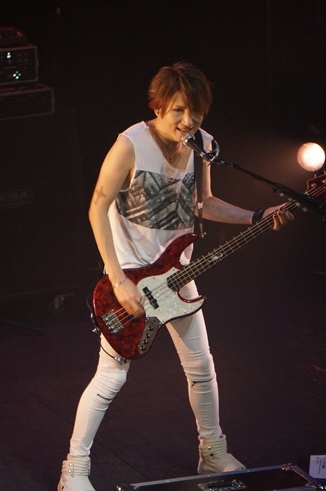 Shou is very communicative as he greeted the audience and asked them to make the live even greater than the previous day. “Hi, good to see you again! Let’s make it more fun than yesterday! Who was here yesterday?” and almost all the audience present raised their hands. Shou complimented them, “Awesome! Let’s make it more fun! Hyper! Raise your hands! Raise your hands! Are you ready?! !” then Blue Planet brought the audience gone wild once again. Velvet and Ryuuseigun keep the mix of old and new hits coming and the audience danced in rhythm. The audience did a really great furitsuke and even followed Shou’s instruction to spin their towel during Ryuuseigun. The theatric performance was building up the hype as Saga played the intro for Scarlet with his bass. 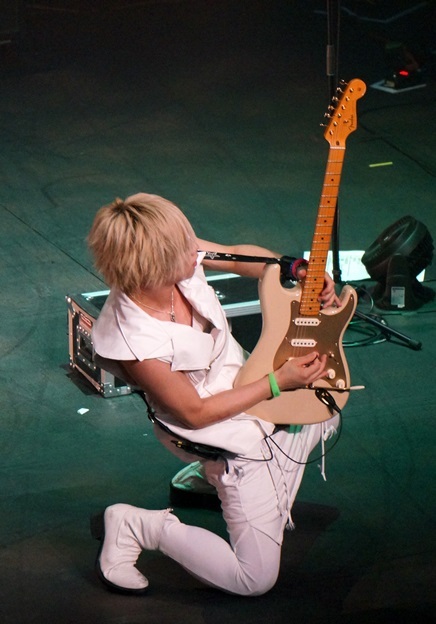 Stepping it up again, Hiroto played his guitar in Freesia no Saku Basho. 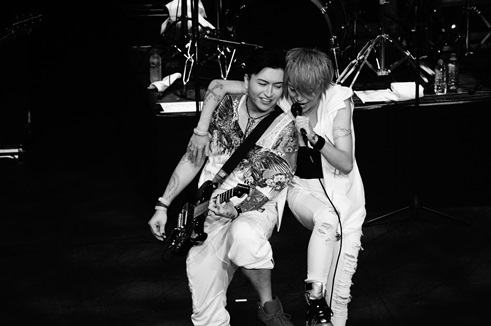 The surprise for the fans was not stopped there as there was a duet of Shou and Hiroto right after Freesia no Saku Basho. They sat together and played WHITE PRAYER in a great harmony. The ultimate is left to last, with more hits wheeled out right after that. RAINBOWS, Kowloon -NINE HEADS RODEO SHOW-, Shunkanshuutou and TSUBASA. 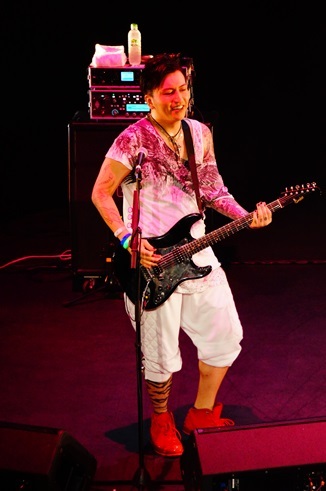 came on to finish the show while Hiroto made the fans super excited by going down from the stage. With the crowd headbanging along, setting the scene for a hit-filled night emitting from the stage, the band left the audience wanting more. Solo of Saga and Nao was the encore, with all members of A9 gone wild in High Collar Naru Rondo and slipping in to slower ballad like Subete he as the song ends. The crowd leaves happy having a great night with A9. It was an amazing set, full of hits as they started their activity in their 11th year together, and of course their gratitude and love towards the fans who keep supporting them! ONE OK ROCK TO PERFORM IN SINGAPORE INDOOR STADIUM IN 2018!